The Verkhovna Rada will have the final say. 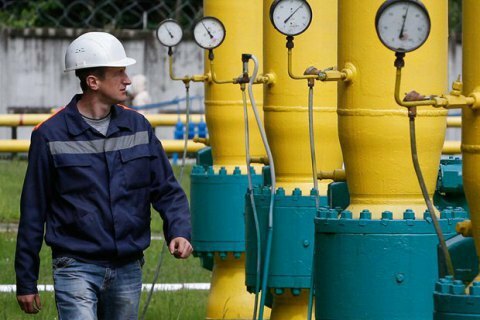 The Cabinet of Ministers on Wednesday, 13 December, announced the beginning of the procedure for selecting international partners for joint management of Ukraine's gas transportation system. Deputy Prime Minister Volodymyr Kistion said at cabinet meeting that the central selection criterion for future partners is the maximum load of Ukrainian GTS. He said a special working group will be engaged in the selection procedure. Naftohaz Ukrainy signed memorandums with Dutch company Gasunie, French GRTgaz , Italian Snam and Slovak Eustream on possible cooperation in the use of the Ukrainian GTS. Naftogaz has hired the company Rothschild SpA (Italy) to structure the process of searching and attracting an international partner for managing the Ukrainian GTS. The best partner for the new operator of Ukrainian GTS will be approved by the Verkhovna Rada. In the summer of 2016, the Cabinet of Ministers, in pursuance of the EU Third Energy Package and the law and the natural gas market, adopted a plan to transfer the function of pipeline gas transportation from Naftogaz to a separate company. The third energy package prohibits companies from simultaneously selling and transporting gas and electricity. Respective energy will have to sell their transport networks or give their management to the hands of an independent operator. On 1 December, an Ukrtransgaz subsidiary titled the Operator of the GTS of Ukraine (OGTSU), started working, OGTSU is single decision-making center for the management of the nation's gas transportation system that is servicing over a thousand gas transportation contracts.